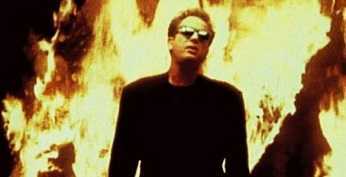 "We Didn’t Start the Fire" was released on September 27, 1989, from Billy Joel’s album Storm Front. The track hit number one in the US and got nominated for the Grammy Award for Record of the Year. His inspiration came from a brief encounter with a friend and with the help of Mick Jones; the track attracted Columbia Records who helped voice Billy on air. Directed by Chris Blum, the music video portrayed a married couple with the goal of achieving the American dream of having a home, career, and children. The artist acts as an unseen observer in the video as he sings to the beat referring to historical events that actually happened from 1949 to 1989. The artist gave an outstanding performance at the Yankee Stadium in the Bronx in 1990, the 1990 Grammy Awards, and AT&T Center San Antonio, Texas on December 9, 2016. By August 2017, "We Didn’t Start the Fire" had already gathered over 60 million YouTube views with millions of digital copies sold globally. His personal life has had a toll on his life with three divorces on the list but Billy claims that a special woman saved his life from drowning. Though he hasn’t produced any music in 23 years, his track remains to be a constant reminder of crazy times (like civil wars) that continue to invade life as long as we breathe. "We Didn’t Start the Fire" carries information that succeeded the World War II and all the way to the end of the Cold war. Even at the age of 40, Joel had it in him to produce an outstanding track. He is a generous giver to the needy and the society at large. This track is available on major music streaming services with various versions of remix tapes and mash-ups. J.F.K. blown away, what else do I have to say?